Hamburg Drums Real - Large unique, very useful samples production studio library WAVE loops and single shots, single and Multi-Layer Sample 1,5GB over 5,500 objects & elements on DVD or for download. Hamburg Drums menu: - hi-hat, snare, kick, toms, fx, cymbals... - loops and performances in different tempo and velocity. - loops in different directions - breaks and feels. recorded by professional drummers. >>>>>>>>>>>> TOP-STUDIO RECORDED & MASTERED, MAPPED, READY FOR DOWNLOAD AND SUCCESSFUL WORK. 100% royalty FREE! NOTE! THIS PRODUCT NOT A 'PLUGIN' - you will simply be downloading selected Bank from this Library as WAV files together with KONTAKT instrument patches (so all the sounds are programmed, mapped out and immediately playable). This library provides enormous flexibility and a wealth of creative possibilities. All of the samples in this product are 100% Royalty-Free. You can use the samples in your commercial releases without having to pay any hidden costs. >>>>>>>>>> We offer a HUGE unique studio collection of hard to find, very rare instruments and sounds, production kits, ethnic instruments & sounds, loops and grooves and many other TOOLS for successful and quality work, music composing and creating, pre/post production. All original samples in WAVEs format, single and multi-layer, mapped and ready for download and work. All the Samples are compatible with any PC/Mac Music Software/Plug-In`s, Music Sequencer/Sampler/Hard ware Synth's, that support WAVES/AUDIO Files. This ultimate collection offered is an excellent for any musician at any level, for anybody looking to get into sample-loops-based music/recording, are designed to grow and expand with you into complete and professional sounds. Very easy to work: recording, looping & creating perfect sound. TOP-studio recorded and mastered, mapped, ready for download and creative work. 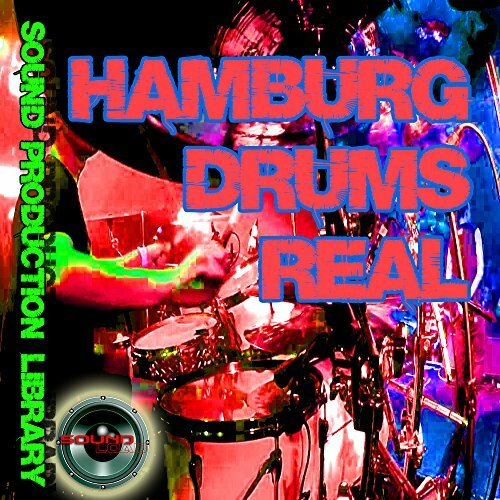 Hamburg Drums Real - Large unique, very useful samples production studio library WAVE loops and single shots, single and Multi-Layer Sample 1,5GB over 5,500 objects & elements on DVD or for download. This ultimate collection offered is an excellent for any musician at any level, for anybody looking to get into sample-loops-based music/recording, are designed to grow and expand with you into complete and professional sounds. Very easy to work: recording, looping & creating perfect sound. NOTE! THIS PRODUCT NOT A 'PLUGIN' - you will simply be downloading selected Bank from this Library as WAV files together with KONTAKT instrument patches (so all the sounds are programmed, mapped out and immediately playable). This library provides enormous flexibility and a wealth of creative possibilities. All of the samples in this product are 100% Royalty-Free. You can use the samples in your commercial releases without having to pay any hidden costs.